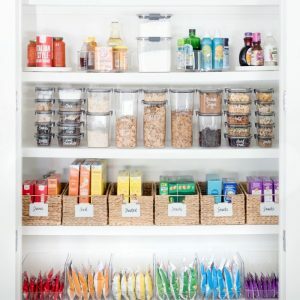 HomeOrganizer Mom!Organized Pantry or Organized Failure? ntrygoals, but they have to also fit our busy lifestyles without causing us more stress to maintain. 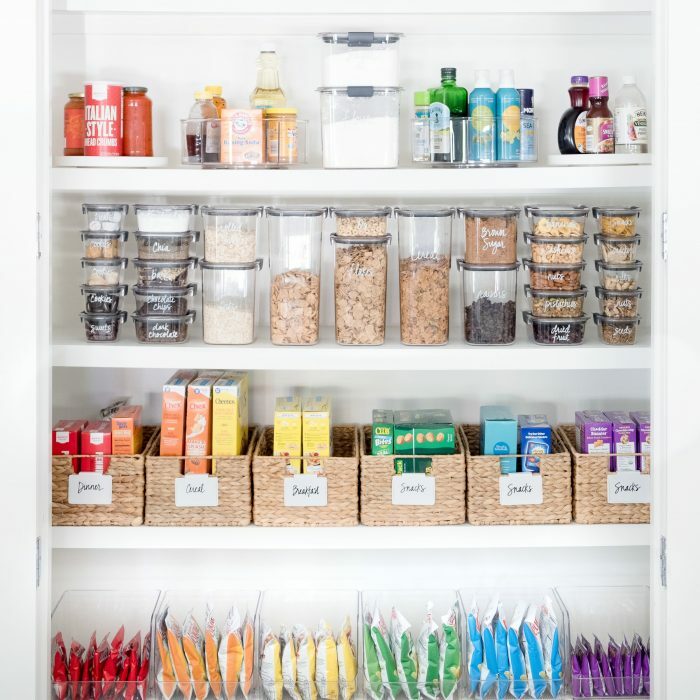 To have an organized pantry be smart about the containers you use for spaces. This picture features a lot of great principles for the pantry. Turn tables, air tight containers and baskets for awkward items are all great. You are setting yourself up for failure immediately if a system meant to organize is too complicated. You can achieve organization even if everything doesn’t look perfect, you have no labels, and your bins do not match. It is more important to be able to find your food than waste money on perished and expired items buried in the back of a deep cabinet. At Livable Solutions Professional Organizing, we love to make things pretty, but we also organize for the reality of life. What do you think?